YAY! Thanks for participating! 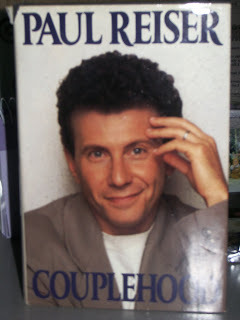 I really like Paul Reiser's sense of humor. I remember when I was in the hospital in labor with Bug and the episode of Mad About You where they had their baby aired - I remember being SO ticked, because I had been in the hospital since Monday afternoon and it was Wednesday night and still NO BABY. Oh we have that book. I think it is so funny. Maybe I should pull it off the shelf and read it again!